I like to think of myself as a part time vegan. So anyhow, I am a part time vegan and that makes me totally sensitive to all kinds of considerations. Unless I’m going for dim sum. I am sorry, if people are going to dim sum and you announce your vegetarianism, that’ just annoying. Be Chinese. Do the right thing. Eat that pork-crab-shark-egg-thing. But Korean food? 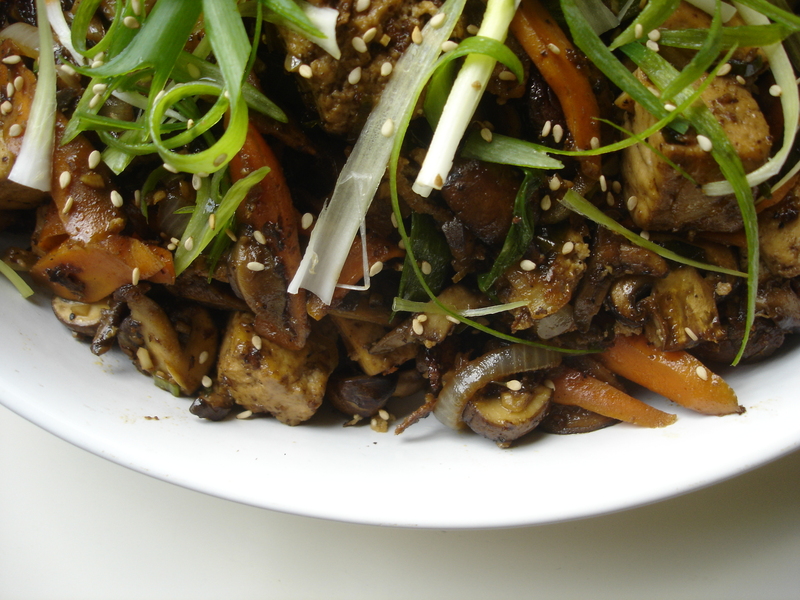 Korean food is great for vegetarians and vegans! 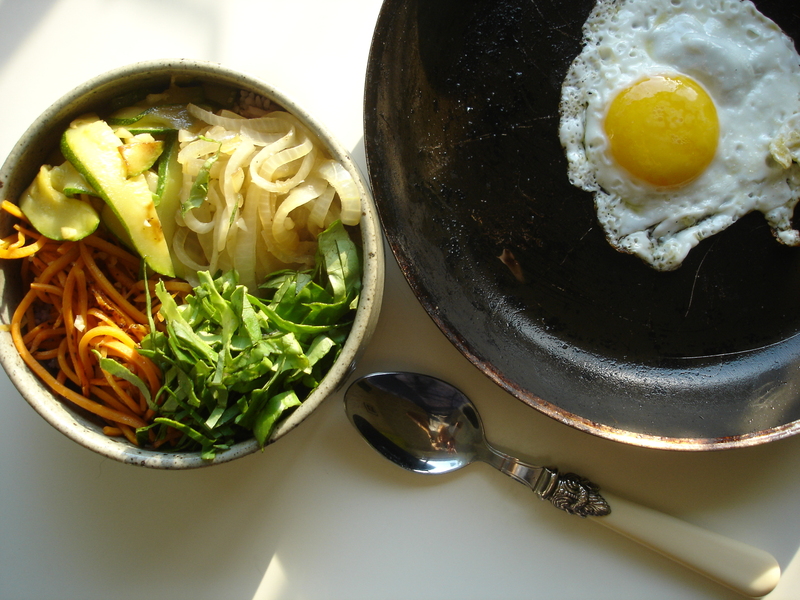 There is naturally zero dairy occurring in traditional Korean fare, so if you’re only avoiding meat, Korean is an amazingly accommodating cuisine. But considering the fact that Korean barbeque is really famous and popular here (and deservedly so), I wish non-meat-eating folks had the opportunity to enjoy something similar. Actually, I wish meat-eating folks had the opportunity to enjoy the following recipe — a way of producing totally meaty, juicy, charred awesomeness minus the guilt of cholesterol-raising, carbon-footprint-leaving, calorific red meat consumption. Here’s a quickie for you. Ready? A super quickie, a classic, weekday dinner table staple: pan-fried tofu with the Million Uses Basic Sauce drizzled on. My mom made this twenty million times when I was growing up because it is so simple. She makes batches of the basic sauce and keeps them in the fridge, and puts it on everything. You can do it too! And who doesn’t love tofu? Variations: add one chopped scallion, some minced garlic, a drop of vinegar, a spoonful of sugar, and/or grated ginger. increase amount of chilli powder for heat, and decrease for, well, less heat. Marinade for Sarah Palin-caught wild caribou. …. and the list goes on. Three of the above are lies. Which ones? I report. You decide!! Step 1. Cut up some tofu into thin-ish rectangles. I say 3″ by 2″, perhaps 1″ thickness.Since they usually come submerged in water, make sure they’ve been thoroughly drained and patted dry. Step 2. Heat a nonstick pan with a drizzle of oil. Medium-high. Step 3. When pan is sufficiently heated, drop tofu pieces in.